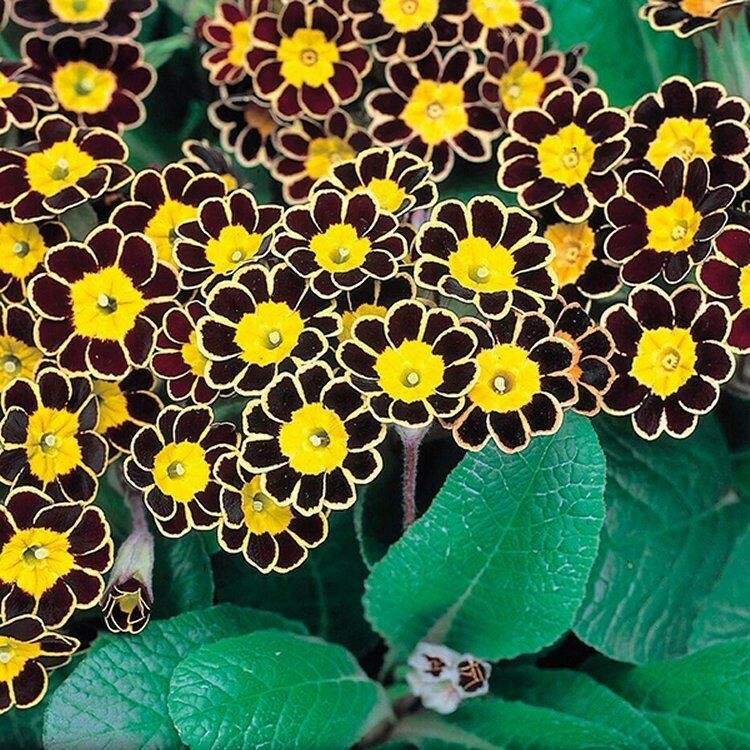 This hardy perennial Primula is an extremely old variety that has been given a new lease of life, and remains a firm favourite, retaining its charm and popularity. The Victorians thought that these flowers were so beautiful they used to sit them on stages draped with black fabric and place frames around them to view them without distraction. 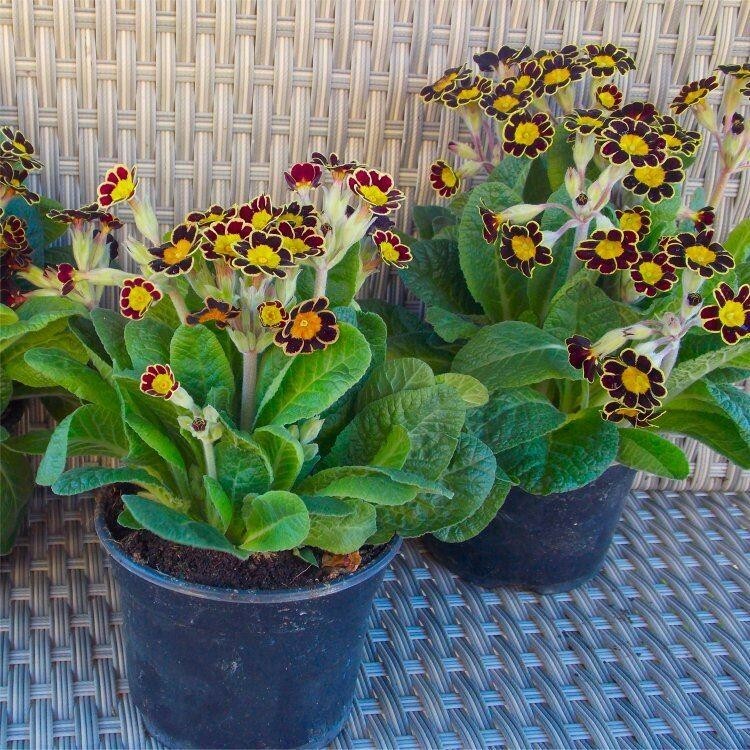 Producing masses of flowers on short stout stems, these are best appreciated in small groups at the edge of flowerbeds or in pots. 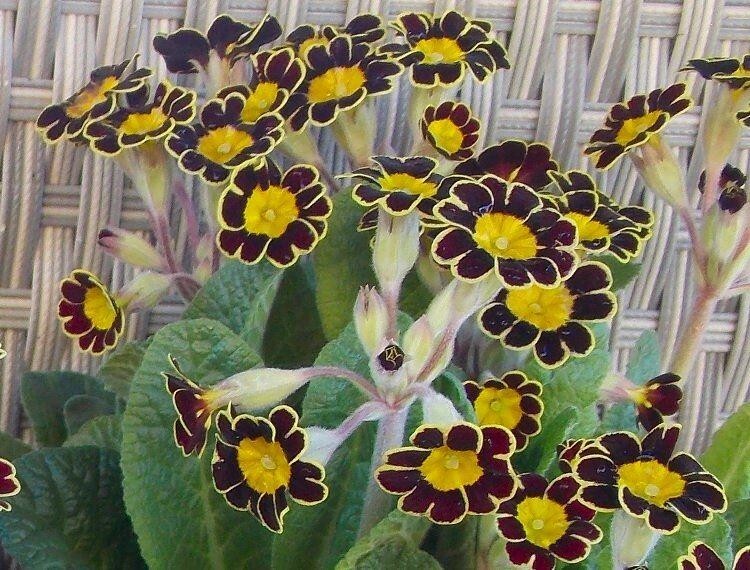 Really something special, and full of old world charm every flower is dark in colour with bright silver-gold edging. 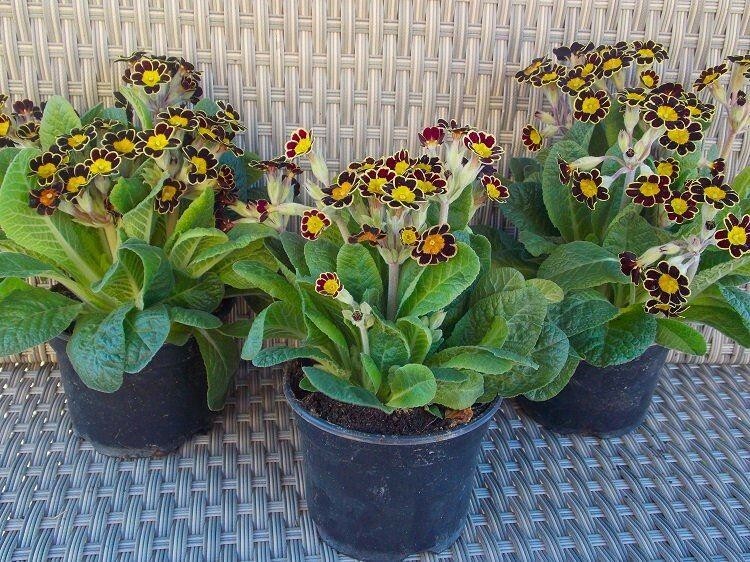 Pack of three strong plants, supplied in approx 10.5cm containers, full of buds and flowers in season.